The I STAND Benefit marks the launch of the WE STAND Campaign as part of a diversity initiative at Pace Academy to make a difference in the lives of youth in some of the most under-served communities in Atlanta and around the world. 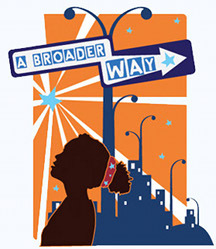 Our mission is to partner with individuals, schools, and community based organizations to create educational outreach programs for youth to eradicate preconceived misconceptions and prejudices, as well as provide financial assistance to enhance education, develop leadership skills, and increase their understanding of what is possible for themselves and their community. Currently, we have an educational exchange program with Ron Clark Academy (http://www.ronclarkacademy.com/), as well as an on-going partnership with Youth On The Move in Peoplestown ATL, to create Keeping Pace, a summer empowerment program that we host at Pace Academy. This summer Pace students will travel to South Africa to partner with Ubuntu Education Fund (http://ubuntufund.org/) and add their voices to the cause of over 40,000 orphaned and vulnerable youth from HIV/AIDS in the townships of Port Elizabeth. Idina ask[s] the question, What do you stand for? Diversity at Pace Academy: WE STAND for helping others to move forward. Join us as we stand with a Broadway legend to raise money to create opportunities that will enable all youth to rise and stand in their potential. Special Performance from Pace Academy, Ron Clark Academy, and local art students. General Admission tickets are just $25 and can be purchased by clicking here.